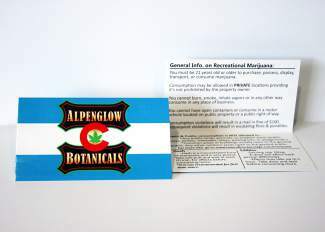 Marijuana education cards from Alpenglow Botanicals in Breckenridge. The cards include information on Colorado marijuana laws, along with brief blurbs on different products, such as hash and edibles. It’s illegal to purchase, posses or consume marijuana if you’re under 21. It’s illegal to use marijuana in public. It’s illegal to take marijuana out of state. It’s illegal to give or share marijuana with anyone under 21. Protect youth from underage marijuana use. Keep it locked up, out of sight and out of reach. Source: Good to Know Colorado. A few years back, before the advent of legal marijuana in Colorado, Laurie Blackwell never thought she’d entertain such a question. She also never thought local youth would encounter that brand of naïve, almost childlike ignorance. Yet during a recent discussion with students, the Healthy Futures coordinator for Summit County heard several stories about party-ready adults who assumed local kids knew where to find dank weed. And they weren’t isolated incidents. Ever since marijuana was decriminalized for all adults in the state — and even when only medical products were on the market — Blackwell has seen those assumptions feed a new and troublesome trend: More than ever, adults are now asking kids where and how to find marijuana. But Blackwell is proud of her students. After countless discussions about marijuana and its ever-changing role in Colorado, she found that most local youngsters are offended by the pot question. When they’re on the hill, they want to ski and, well, just be kids, not play personal budtender for adults who might come from as far as the East Coast or Europe. For Blackwell and other local youth advocates, the trend seems particularly common in resort communities like Summit County’s. Ski towns are made for relaxation, and that vacation mentality tends to bleed over from guests to residents, including kids. It’s been a concern for decades, and it’s not limited to marijuana. After a single year of legal marijuana, neither the county nor state have collected local data on how often adults ask youths where to find marijuana. But collecting meaningful data often takes several years, and pinpointing those hyper-local issues is a major pillar of the five-year Healthy Futures media campaign built around retail marijuana. In early January, Colorado unveiled a similar educational campaign, dubbed “Good to Know Colorado.” The statewide campaign launched with a basic, easy-to-follow breakdown of the state laws, along with information targeted specifically at youth prevention. And as Blackwell says, prevention begins with adults. When Amendment 64 passed, it earmarked funds for marijuana education and prevention efforts, all fed by taxes from retail marijuana sales across the state. 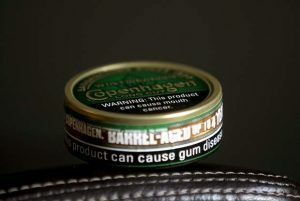 A portion of those funds is distributed directly to local governments, and a chunk of the first-year taxes was funneled to the Good to Know campaign. The brand-new Retail Marijuana Education Program, part of the state’s Prevention Services Division, spearheaded the 18-month campaign. 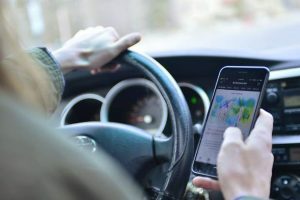 It’s targeted at all Colorado residents, not just parents, and touches just about every form of media, from the current round of radio ads and social media blasts to TV spots and community forums over the next few months. When dealing with a newly decriminalized drug, one of the state’s largest hurdles has been crafting a consistent, uniform message about marijuana. The campaign is the first step, beginning with laws in their most basic form: It’s illegal to use marijuana in public and it’s illegal to use, posses or purchase for anyone younger than 21. As Colorado continues to tweak marijuana policy monthly and even weekly, reinforcing the basics of a new and volatile industry is the first campaign goal. While building the campaign, the state collected data from nearly 400 educators, health care professionals and dispensary owners to fine-tune its message. This highlighted at-risk user groups, from children to out-of-town visitors — the same people who might accidentally ask a 9-year-old where to find marijuana. After aligning the basic messages, Maffey agrees with Blackwell and Murphy, saying youth prevention is paramount as the campaign rolls into its next phase. Like the Healthy Futures Initiative, the state has long known that fear-based campaigns don’t work. Good to Know was crafted to be welcoming and inviting, with a rhyming scheme and attractive images. Those elements will be tweaked over the next few months as the state crafts a marijuana campaign for the Hispanic community. Yet Maffey and her Summit County counterparts know the lack of data on retail marijuana is still the elephant in the room, and it’s one reason the campaign has focused on laws, not impacts. At Alpenglow Botanicals in Breckenridge, education efforts have been part of the business model since opening day. It begins with the employees: Owner Justin Williams only hires people who have a good grasp on marijuana, from different strains to different uses. He encourages his budtenders to chat with customers and answer any questions, and his training sessions include information on how to spot fake IDs. He also requires employees to staple a quick-hit fact card to every product bag. Like the statewide campaign, the Alpenglow cards cover the basics: It’s illegal to use marijuana in public, it’s illegal to take marijuana out of the state. 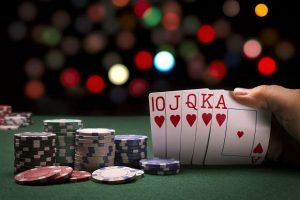 The cards then go into other product-specific details, like the difference between hash and edibles, along with the various effects edibles can have when consumed. Again, like the statewide campaign, he steers away from fear-based messaging — the same tactic Good to Know organizers will use when they distribute uniform informational cards to dispensaries this summer. The Alpenglow approach is shared by the majority of Summit dispensaries. Colorado law doesn’t require dispensaries to educate customers, but like Williams, Nick Brown of High Country Healing in Silverthorne believes it’s his duty as a cannabis advocate. For edibles, which have been linked to youth hospital visits across the state, he even has an “effect card” for users to track different marijuana effects, like euphoria or tingling limbs. And Brown says customers have been receptive to the HCH education efforts. For every adult who asks a kid about pot, he believes dozens more are willing to follow the laws and treat the industry with respect.